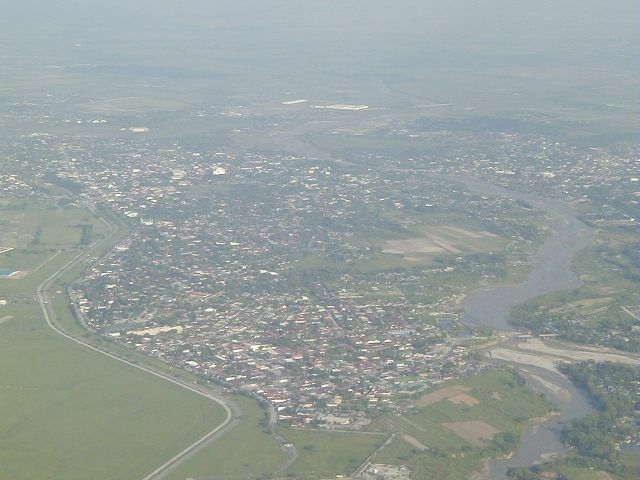 Taken from about 5000 ft high, this is a view eastward across much of Angeles City. Where the road at the left ends is the old main gate. 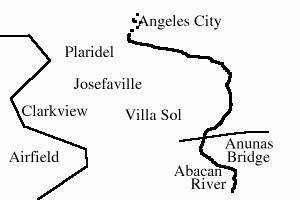 The Abacan River is at the right, dividing the city in two. Want to correct or clarify information about this photo? Send an E-mail to clarkairbase@clarkab.org. Mention you are referring to page "a10.htm".